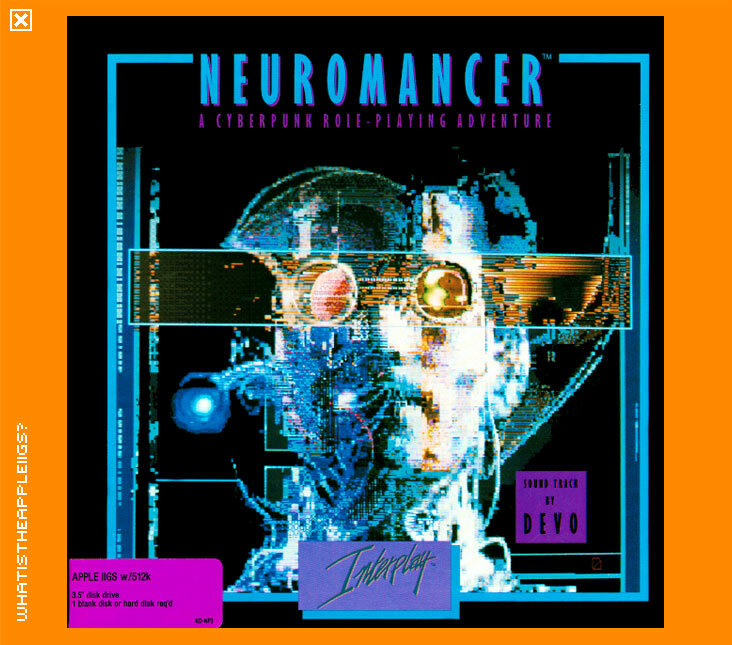 Neuromancer was created and distributed (via Activision) by Interplay Productions for the Apple II in 1988. A IIGS specific version exists and it's recommended to play due to its better graphics and mouse based interface. Neuromancer is based on the famous novel by William Gibson, which spawned frequent use of terms 'cyber-punk' and 'virtual reality'. You assume the role of Case, a down and out hacker whose about to learn many sordid details surrounding cyber-space in Chiba City. You awaken in the Chatsubo bar, renown for its fatal combination of food and drink and now you need to pay your bill. You have to first use the PAX by clicking on the "PAX" icon in the lower left hand corner of the screen and download some credits. Be aware that the PAX isn't just a banking service - the News service is a good hoot and the bulletin boards are more than useful. Using items in your inventory is done by clicking on the Items button, the one that looks like a scrap of paper. Giving the bartender the relevant amount of cash will relieve you of an ensuing fine as well as reveal information of your next port of call. Keep engaging the bartender in conversation, using the speech bubble icon. The choices for conversation appear in thought bubbles, which cycle if you click anywhere on the screen but on the bubble. Once you've made you selection for what you want to say, click in the bubble, which will then turn to a speech bubble and click again to say it. 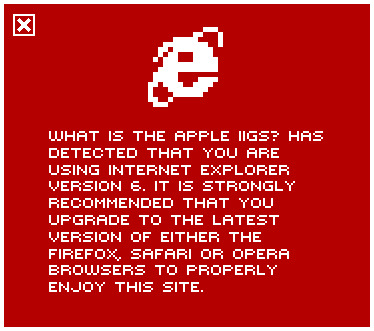 Besides your travels in Cyberspace, this interface remains constant. The graphics in the 8-bit version of Neuromancer are done in double hi-res, so this game was pushing the specs requirements to a IIe, IIc or better. Should work fine in any 3.5" disk drive equipped Apple II, including the IIc+.